A small London-based company TMB Art Metal specialises in producing sculptures and cufflinks and other luxury items dedicated to technical subjects, primarily in the aeronautic and automotive arenas. With this profile the Spitfire, Hurricane and Concorde are given subject choices for their aero items. 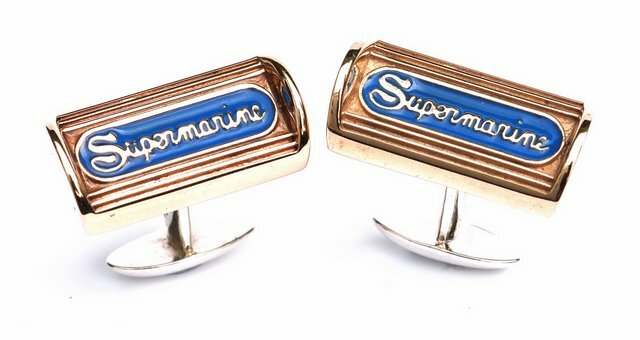 Recently launched by this company are the Supermarine Spitfire Rudder Pedal Cufflinks. There is, however, more to the product than its looks. According to the manufacturer, the metal alloy used to cast the cufflinks incorporates the genuine metal from the Battle of Britain Spitfire Mk I serial no. X4276, KL-B named KIWI, which was Al Deere’s personal Spitfire. Al Deere, of course, was one of the Royal Air Force’s most successful fighter pilots during the Battle of Britain and on through WW2, downing 22 enemy aircraft. In an effort to produce something for true Spitfire connoisseurs, TMB resigned from producing cufflinks in the obvious Spitfire shape. Instead, they designed theirs around the 1930s deco style Supermarine branded rudder pedals with which the early Mk. I and Mk. II Spitfires were fitted. An advantage of the letter design is also that it is obviously more practical in function. The manufacturer offers two variants of the cufflinks. Firstly ones which have the pedals cast in bronze from X4276 but with arms of hallmarked sterling silver and secondly cufflinks which are made entirely of aluminium, the ‘donor’ metal taken again from the real Merlin engine. The bronze ones have good weight to them, whereas in contrast the aluminium ones are very light in weight. 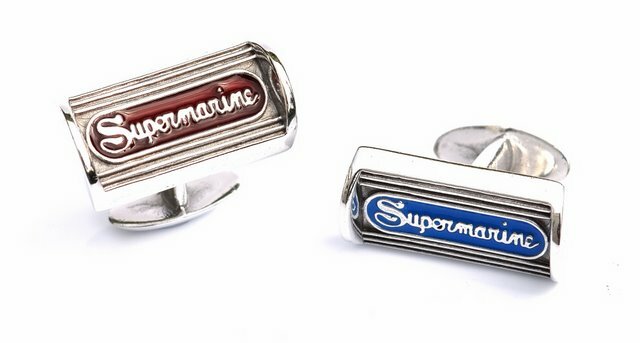 Both options of cufflinks are available with either burgundy or blue (Supermarine’s colour) enamel infill. Customers can also order asymmetric links, one of each colour.